The next DC Original Animated Movie is sure to make longtime fans happy as it features the long awaited return of Justice League/Justice League Unlimited‘s cast and animation style for an all new adventure in Justice League vs The Fatal Five. 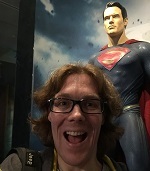 The movie, which is directed and produced by Sam Liu (The Death of Superman, Reign of the Supermen) reunites Kevin Conroy, George Newbern, and Susan Eisenberg as Batman, Superman, and Wonder Woman whilst introducing new heroes Jessica Cruz/Green Lantern (Diane Guerrero), Thomas Kallor/Star Boy (Elyes Gabel), Miss Martian (Daniela Bobadilla), and Mister Terrific (Kevin Michael Richardson). Justice League vs The Fatal Five finds the Earth’s future hanging in the balance when the Justice League faces a powerful new threat – the Fatal Five. Superman, Batman and Wonder Woman seek answers as the time-travelling trio of Mano, Persuader and Tharok terrorize Metropolis in search for budding Green Lantern, Jessica Cruz – whom they need to free the remaining Fatal Five members Emerald Empress and Validus in order to carry our their sinister plan. But the Justice League discover an ally from another time in the peculiar Star Boy – brimming with volatile power, could he be the key to thwarting the Fatal Five? An epic battle against ultimate evil awaits! I have to admit, as someone who grew up on the classic DC animated series, I’m really excited to dive back into that universe. DC’s line of animated movies have been of consistently good quality recently, so I’m hoping for an adventure worth of the DCAU’s legacy. The movie will be available on 4K Ultra HD, Blu-Ray, and digital, and comes with an audio commentary by producer Bruce Timm, director Sam Liu, and writers Jim Krieg and Eric Carrasco, along with special features exploring nuanced heroes who have to deal with everyday feelings of anxiety, depression, and other incapacitating emotions, and the growing diversity and inclusivity of DC’s pantheon of super heroes. The film also comes with the traditional sneak peek at the next DC animated movie, Batman: Hush, and bonus episodes from DC’s animated series. 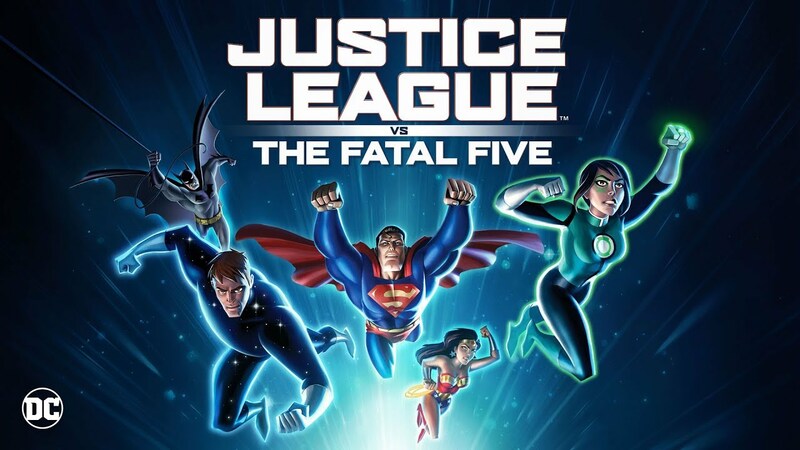 Justice League vs The Fatal Five will be released digitally on March 30th, and on Ultra 4K and Blu-Ray on April 16th.